The “greenest housing development in the US,” according to Mayor Bill Peduto, has just wrapped up phase one. The first 85 apartments—56 of which are affordable—are move-in ready at the Larimer/East Liberty Choice Neighborhood development. 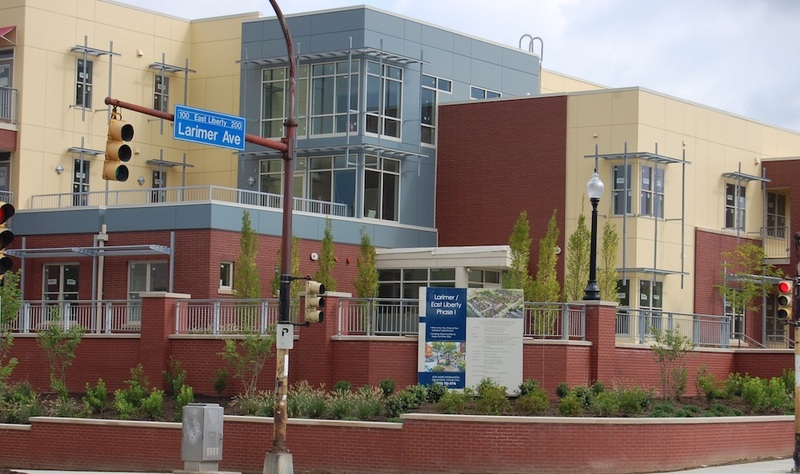 The new mixed-income housing community–with a goal to transform the community–is located at Larimer Avenue and East Liberty Boulevard and is designed to be highly energy-efficient with plenty of green space. Pittsburgh was one of four cities to receive a highly competitive $30 million Choice Neighborhoods grant from the U.S. Department of Housing and Urban Development in 2014, a huge win. As part of the grant, existing affordable apartments on the site are being replaced and additional market rate apartments are being built. 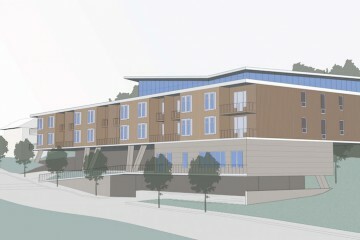 When complete, there will be a total of 334 units. The grant builds on years of work by the Larimer Consensus Group and other organizations to plan for neighborhood growth that was green and sustainable. Choice grants focus on housing, people and neighborhoods. 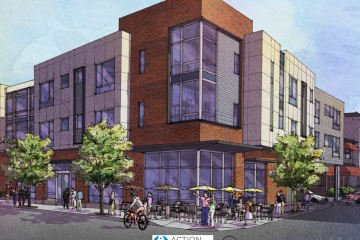 In Larimer there was a clear vision for all three, making it a strong choice for HUD funds. Binion credits partnerships with private developers and companies such as Google—which is supplying free wifi to the community— as well as neighborhood groups with laying the foundation for the grant to succeed. Binion notes that kids and families within the footprint of the Choice development receive educational support and access to services that help them graduate high school and go on to college. Social and supportive services are also available to residents such as employment assistance and health and wellness services. HACP was also recently awarded a $500,000 Choice Neighborhoods planning grant for Bedford Dwellings in the Hill District, one of Pittsburgh’s oldest remaining affordable housing developments. The funds will allow for a comprehensive plan for the future with input from current residents as well as the Hill District at-large. This award also puts Pittsburgh in place to apply for another $30 million implementation grant from HUD. Binion points to the HACP board of commissioners and the leadership of Mayor Peduto for his “people first” agenda that prioritizes projects emphasizing equitable development. That gives Pittsburgh a competitive edge for these kind of transformative grants. The development partner is McCormack Baron Salazar and 40% of the construction contracts were awarded to MWBE (minority or women-owned business enterprises). There are also 43 residents employed directly as part of the project.